I posted the other day about the issues that can be associated with some of the recruitment outsourcing companies who also provide funding. Interestingly, we have just had a conversation with a new outsourcing invoice finance company that are able to provide the full range of services from funding, to payroll management to accounting services. Being able to access this kind of package of services without ending up in a position where you are just passed on your profit margin by the provider, will be seen as a huge benefit by some recruitment companies. If you are a recruiter that wants to focus on generating placements, rather than all the business management related issues associated with running a business, these kinds of services are ideal. However as I have documented previously, some of the services can almost take over the management of your business and you can end up locked into the service, unable to afford to leave. 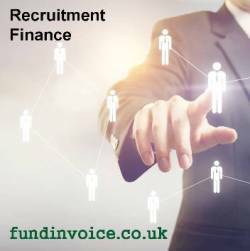 If you are interested in understanding how the alternative model for recruitment outsourcing and funding, please speak to Sean on 03330 113622.